Many people tend to cringe at the very thought of going to the dentist, but going to the dentist doesn't need to be an uncomfortable experience. Dentistry has come a long way in the past 15 years, and as a busy parent, it's important to not only encourage your children to maintain good dental health, but also to practice it yourself. If you need Lehi dental restoration services, Canyon Crest Dental is a great option. It's their top priority that you leave smiling. They specialize in dental restoration using the latest technologies that are able to give you the vibrant smile you deserve. Veneers are an option many patients tend to go with when it comes to hiding a stained or crooked tooth. There a thin molding that covers the front of your tooth. In the past, dentists would often have to shave down your teeth in order for the veneer to fit properly. By using a thinner veneer, you won't have to worry about losing any teeth in order to make it fit. Laser technology is more commonly used in dentistry. It's used to not only help detect, but also remove cavities. Laser dentistry is often a more efficient option. It is currently used in many different dental procedures, including reducing tooth sensitivity, filling cavities, and whitening. Millions of people in the world require crowns or implants which can eventually become loose and need to be replaced. Dentists now use a new bonding material that is 100 times stronger and more durable; it also comes in many different shades, which makes it easy to match with your natural teeth color. An ultrasound is not just something used to determine the gender of a baby. Sometimes patients stay away from getting an X-ray because of the potential threat radiation poses. Ultrasounds are often used in the world of dentistry to provide patients a radiation-free imaging. 3D printing is something that has taken dentistry by storm. 3D printing technology can produce more accurate models, surgical guides, and printable ceramics. The possibilities of 3D printing are limitless; the goal is to eventually be able to create printable teeth. Recently the FDA approved the first robot specifically designed for dental implant surgery. 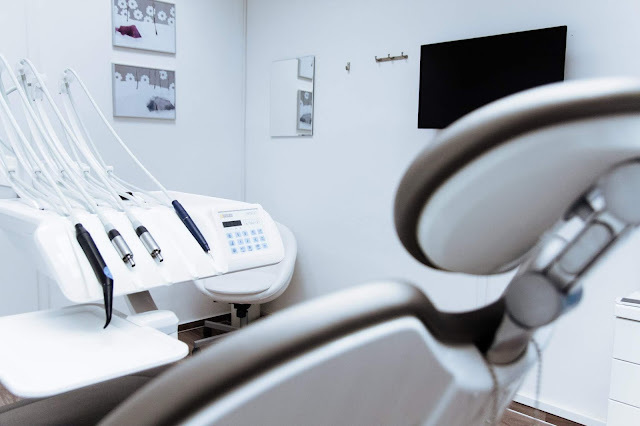 Robots can bring a lot to dentistry, often times they're able to perform more precise and accurate incisions while providing less invasive procedures. This can drastically improve healing time. The Planmeca Emerald is a lightweight scanner used to help capture accurate digital impressions of your teeth, it's also able to differentiate between soft and hard tissue. One of the main reasons people put off going to the dentist is because of the fear of pain. This can raise blood pressure and cause anxiety, but going to the dentist doesn't have to be a terrifying experience. Dentists have recently started using the Wand Anesthesia. This tool is especially great for pediatric dentistry. The best part is it requires no syringe. It uses computer-controlled slow release technology that freezes the pain area and has pressure sensors to help locate the best spot to freeze. Velscope is a special tool that dentists use to check for abnormalities in a patient's mouth. This new form of auto-fluorescence visualization technology is commonly used to help detect early forms of oral cancer, which happens to be one of the most aggressive forms of cancer. In the United States, more than 11,000 people are diagnosed with oral cancer yearly, and these numbers are predicted to increase 33% by 2030. Early detection of oral cancer can mean the difference between life and death if caught early; you have a 90% chance of survival. HealOzone is a cutting-edge new technology, which is a fast and painless way to help eliminate tooth decay. The technology uses O3, which is a natural gas to help not only kill fungus but fight bacteria. In the past, the only way to stop tooth decay was to drill out the decaying parts of the tooth, but HealOzone uses O2 gas to kill the bacteria around the decaying tooth. This is often the method patients prefer because it's painless and requires no drilling. So, you see, there are plenty of options for you to get your teeth the way you want them to be. If you haven't been to the dentist in a while, now might be the time. Call and make an appointment with your dentist today.